Independence Day is coming soon. Some families have already planned for cool vacations to escape the summer heat, but others are looking forward to a July 4 weekend with friends and family. If you choose the latter, this guide is all you need to know about enjoying your party without worrying about high energy bills after a fun all-day-long Fourth of July party. Get creative with the kiddos by making a Fourth of July parade wand, balloon fireworks (confetti balloons) or creating a patriotic wreath. These Pinterest-inspired projects consume zero energy and keep your kids from running in and out of the house while letting in the summer heat. Plan outdoor activities instead of playing video games inside. Visit a local lake and go swimming, fishing or sunbathing, then grill hamburgers and hot dogs on a campground grill. If it’s too hot to get outside during the day, get ready for a poker or board game party. Save electricity when you turn off the television, laptops and video games—electronics produce considerable amounts of heat, so turning them off can help keep your house cooler and avoid those high energy bills all summer. Serve a cold meal, such as cold cuts for sandwiches, cucumber salad and ice cream. Buy a watermelon and other fruits that don’t need refrigeration. Try a crock pot or microwave to cook your food. Slow cookers and microwaves can save lots of energy while making delicious and healthy dishes. Use your outdoor grill or smoker and have a traditional July 4 barbecue. Again, not only are you saving on electricity, but you’re also not making your air conditioner work harder to cancel out the heat of an oven. Bake festive cupcakes with your toaster oven. The smaller toaster oven uses less energy and cooks the cupcakes faster. Free your dishwasher from washing large loads of dishes and silverware. It’s a great day to show your patriotism with red, white and blue recyclable paper plates, cups and tablecloths. Finally, the fact that you didn’t book a flight to Hawaii doesn’t mean that you can’t have a staycation instead. Check out your city’s schedule for special events during the biggest outdoor celebration of the year, such as a Fourth of July parade, family picnics and of course—city fireworks displays. You’ll likely find discounted tickets for arboretums, museums and amusement parks on Independence Day weekend, so go out and enjoy the holiday excitement. There will likely be festivals, sporting events, concerts and spectacular fireworks shows on the Fourth of July agenda. 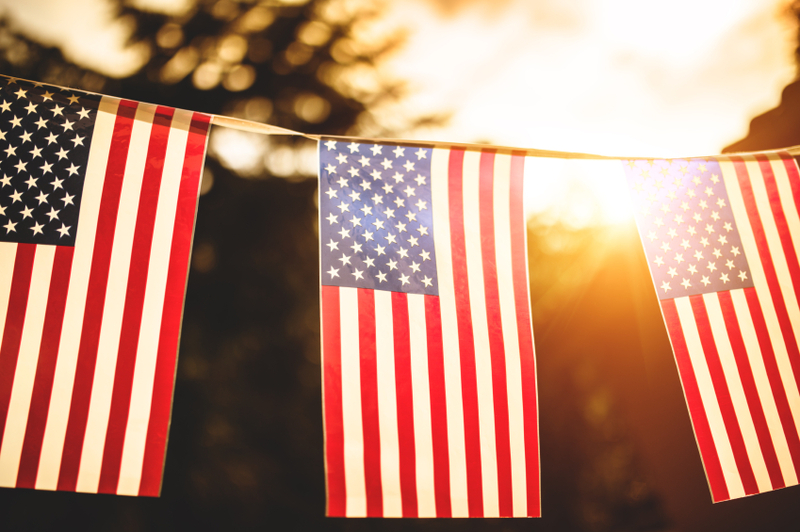 So pull out your shorts and tank tops, and turn down your thermostats this Independence Day—you’ll have a great time outdoors and you won’t have to worry about high energy bills at home.